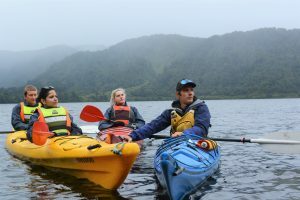 With Franz Josef receiving on average 200 days of rain a year, all weather activities are a vital part of your itinerary. We are teaming up with the Glacier Hot Pools to bring you the newest cloudy-day adventure! Combining Trip Advdisor’s #1 rated Activity and Spa… we’ve created the Paddle & Soak Combo! This combo is the perfect activty for those cloudy days. Join us for a Kayak Classic trip, followed by a warm relaxing soak in the Glacier Hot Pools. 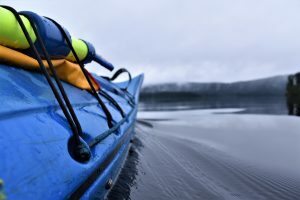 On a Kayak Classic Tour, we will provide you with the highest quality wet weather gear which will allow you to get wild on the water! Your guided tour will take you to explore the areas of Franz Josef that are otherwise inaccessible. Experience the Jurassic rain- forest, wetlands and the reflective black waters of Lake Mapourika. You will be sure to get some great photos to make your friends and family back home very jealous! 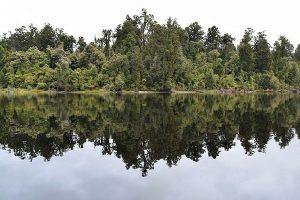 Paddle into the heart of the Kiwi Sanctuary and learn of the conservation efforts that the place. Your guide will even take pictures for you, and email them out after your trip for FREE! Returning from your kayak tour you will head across the road for a dip in the Glacier Hot Pools. 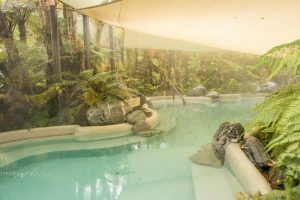 Nestled in lush rain-forest, the Glacier Hot Pools are a haven of natural tranquility. The hot pools are the perfect way to unwind and soothe your muscles after your kayaking adventure. With a choice of three pools, ranging in temperature from 36-40 degrees there is a pool to suit everyone. Towel and Swimwear Hire is available at an additional cost. 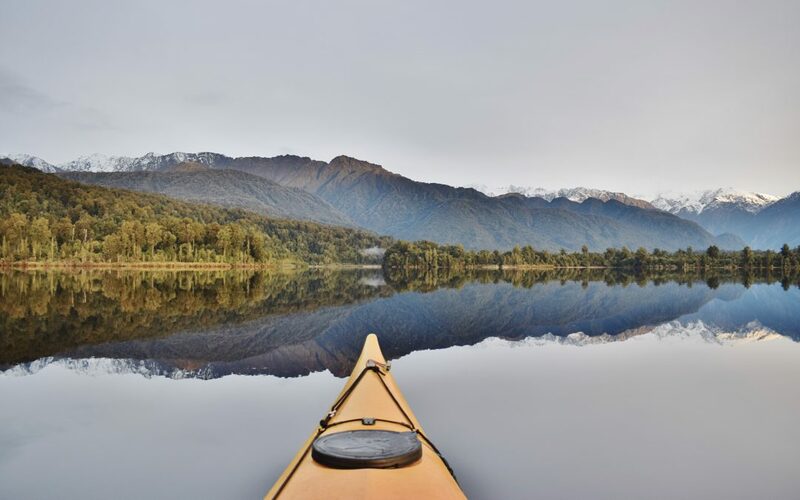 The Paddle and Soak on its own is not available online and can only be booked directly through The Glacier Hot Pools, Franz Josef I- Site or through the Glacier Kayaks. 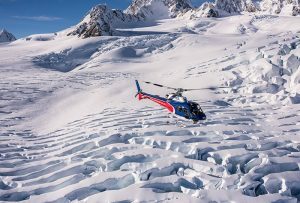 Our Heli Hike Combo now also includes the new addition of entry to the Glacier Hot Pools and so also does our Scenic Flight Combo! – These can be booked through our Website! Or GET IN TOUCH with one of our friendly reservations team to help you make a booking today!